I have been happily obsessed with Pinterest. Especially when boredom strikes, I always go straight to it and start pinning anything that's gorgeous. 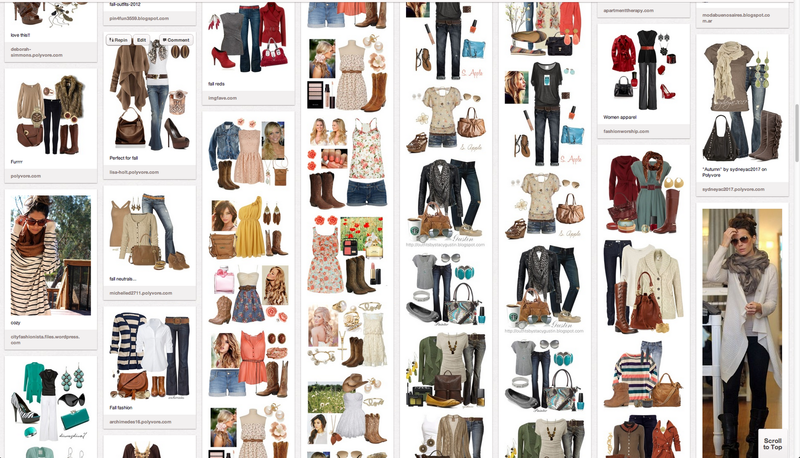 I have been pinning mostly fashion stuff because I love to dress up. Anyway, I took a screenshot on my Pinterest wall and wrote a blog post about it. Because it may take hours for me to post the images one by one. Oh well. I enjoy pinning every bit it. Needless to say it's addictive. Its fun. I am pretty much hooked.